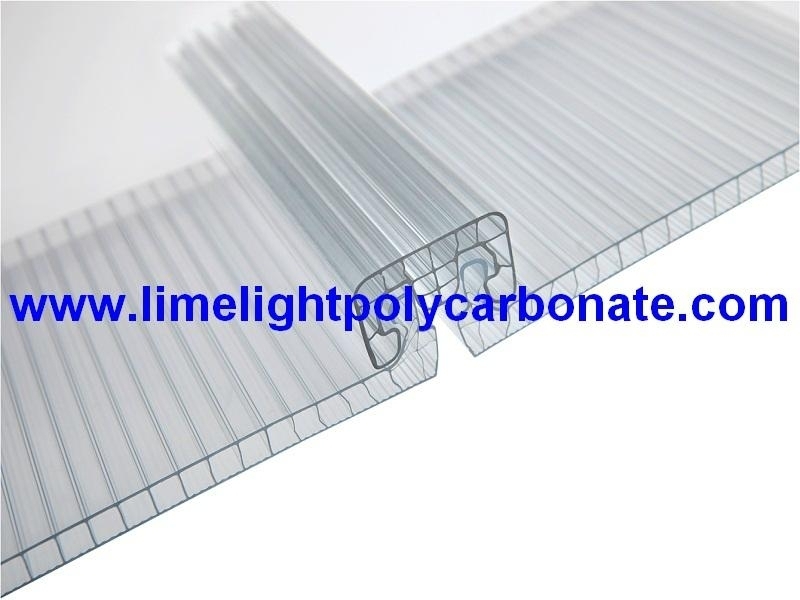 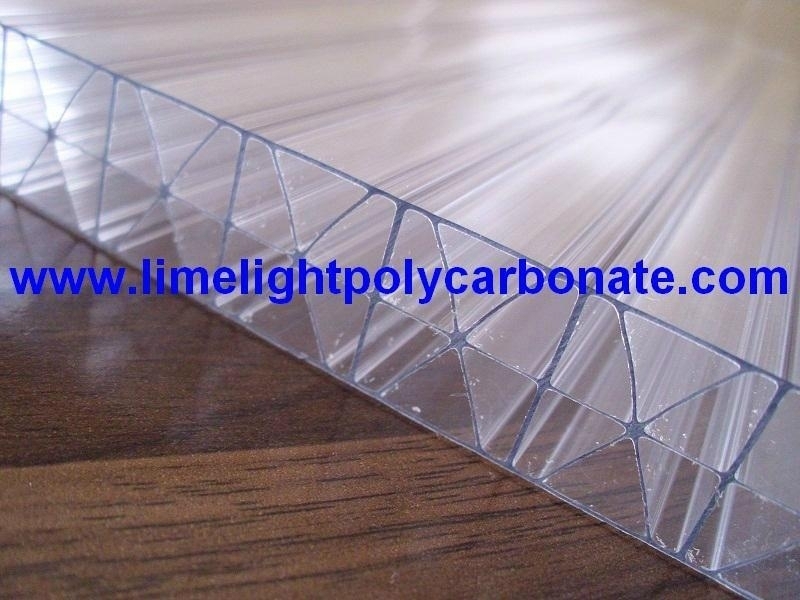 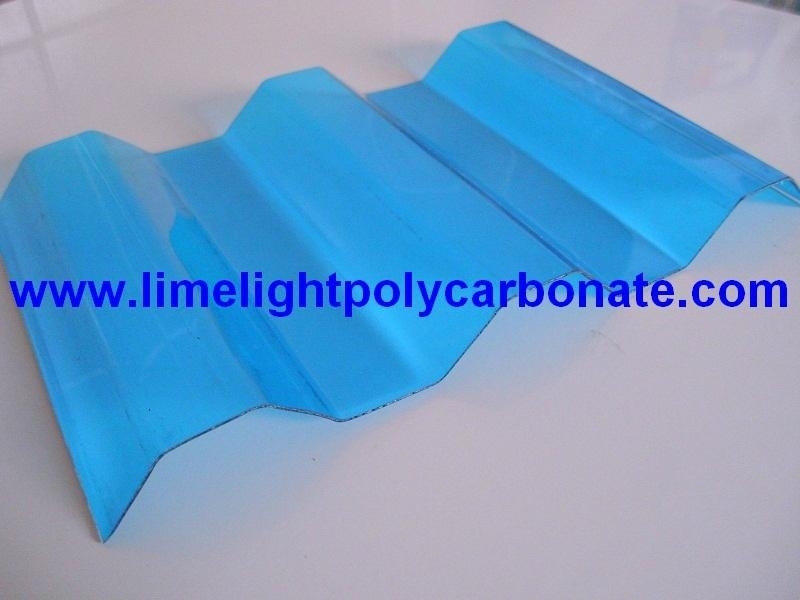 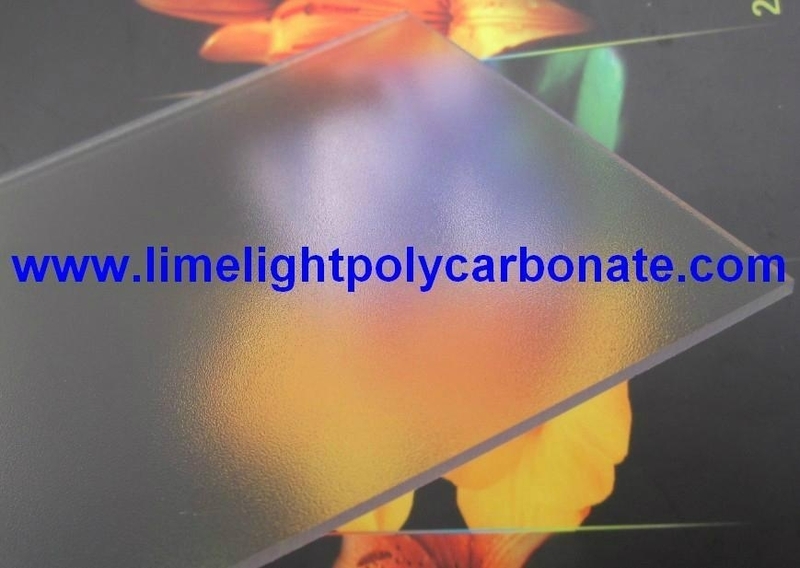 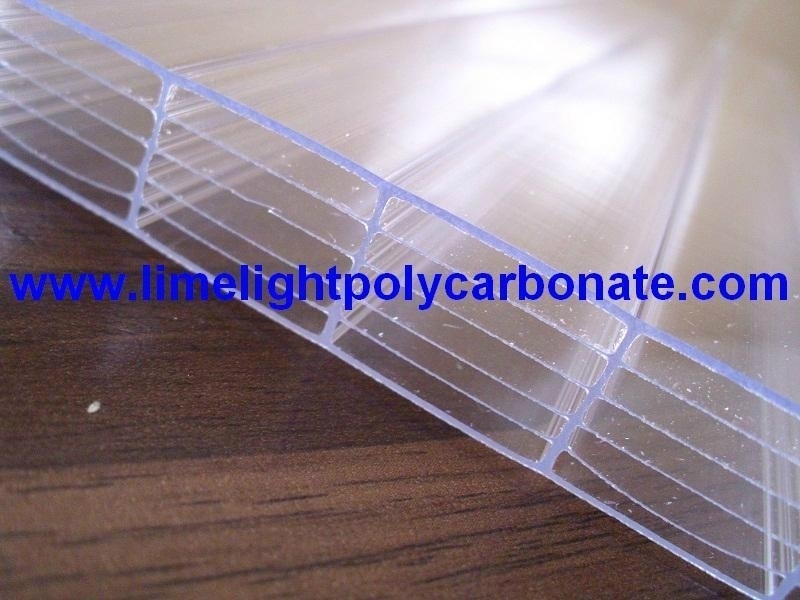 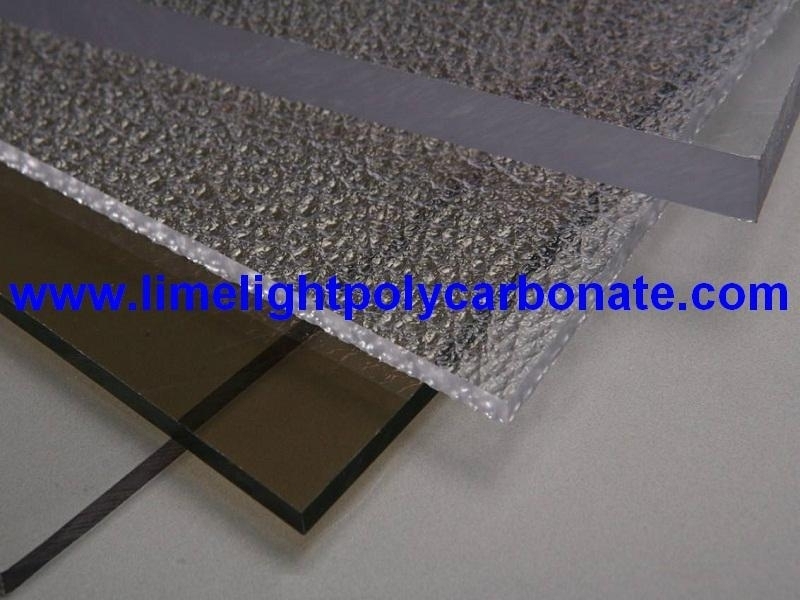 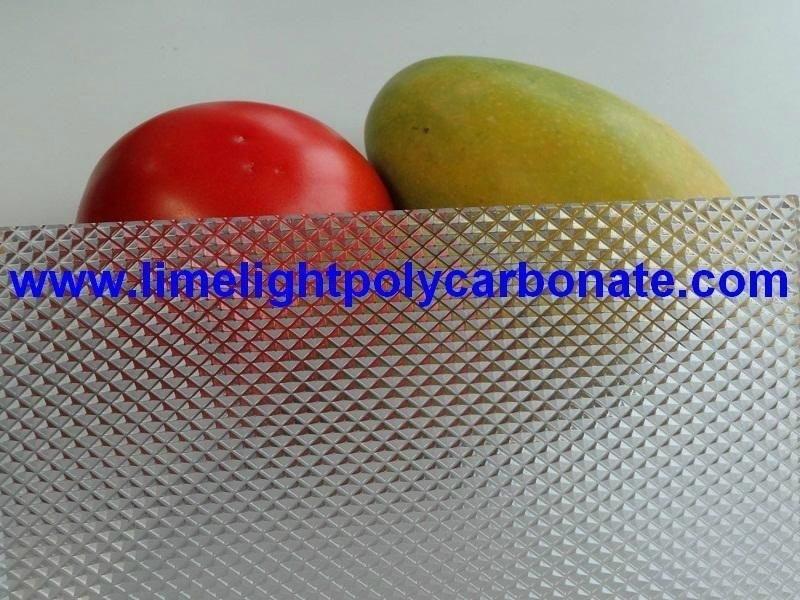 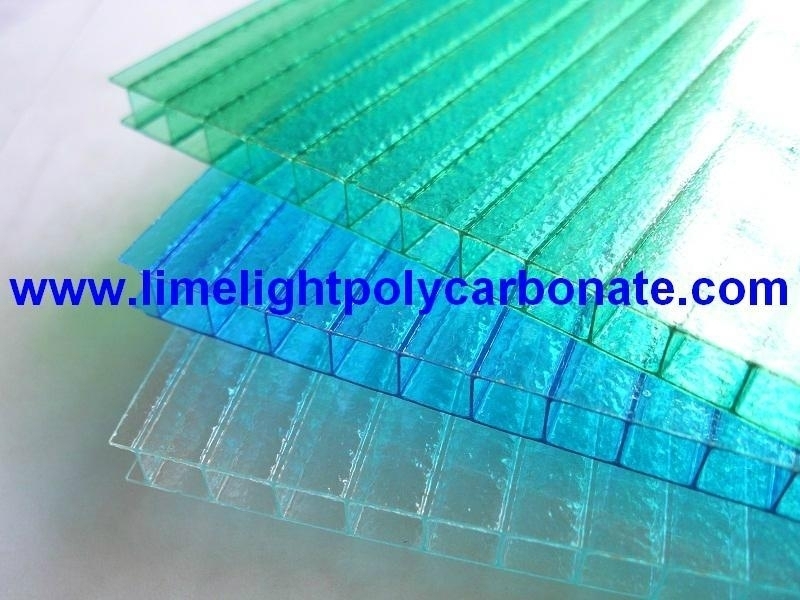 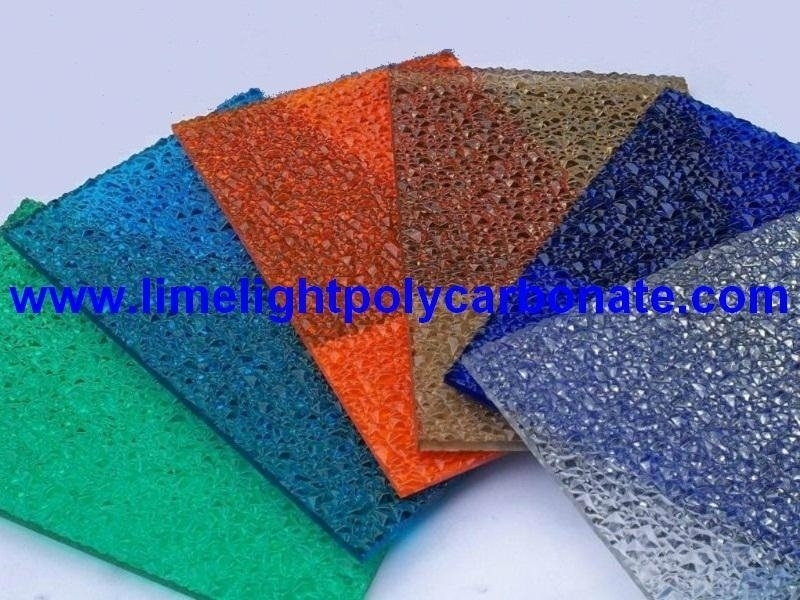 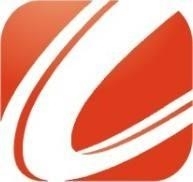 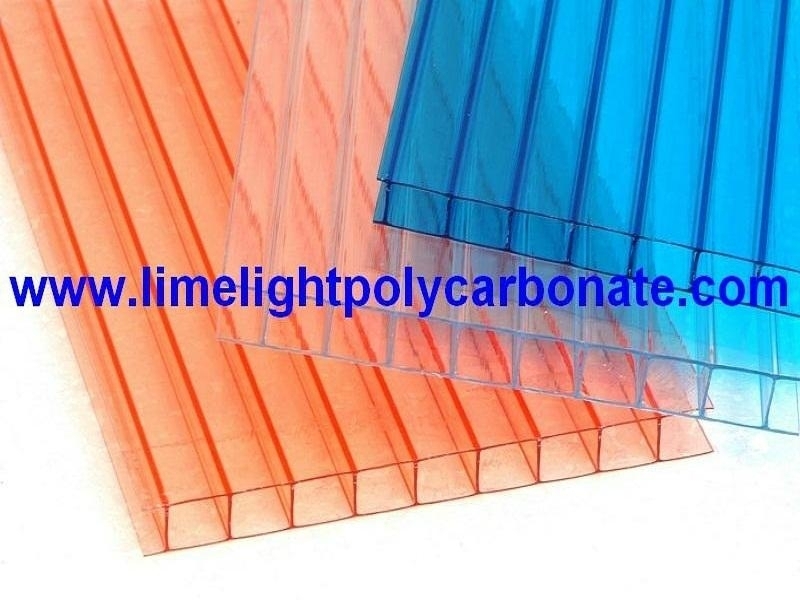 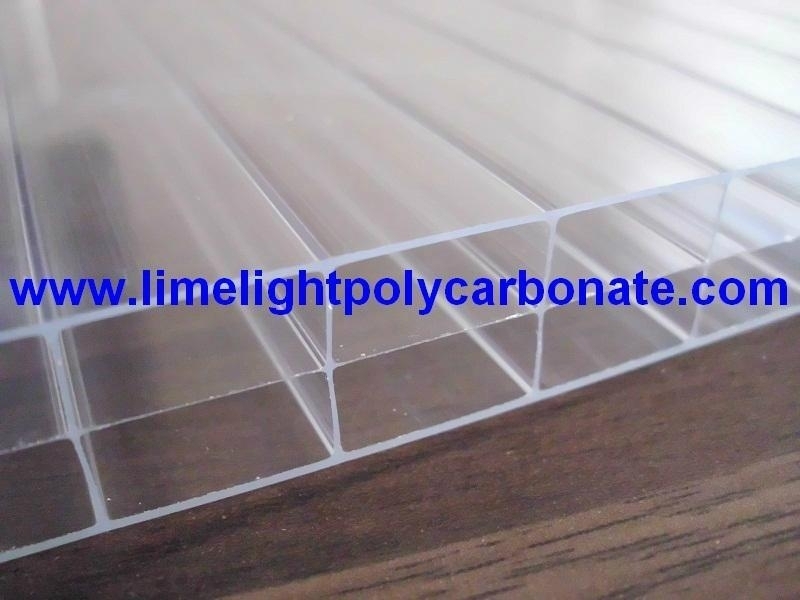 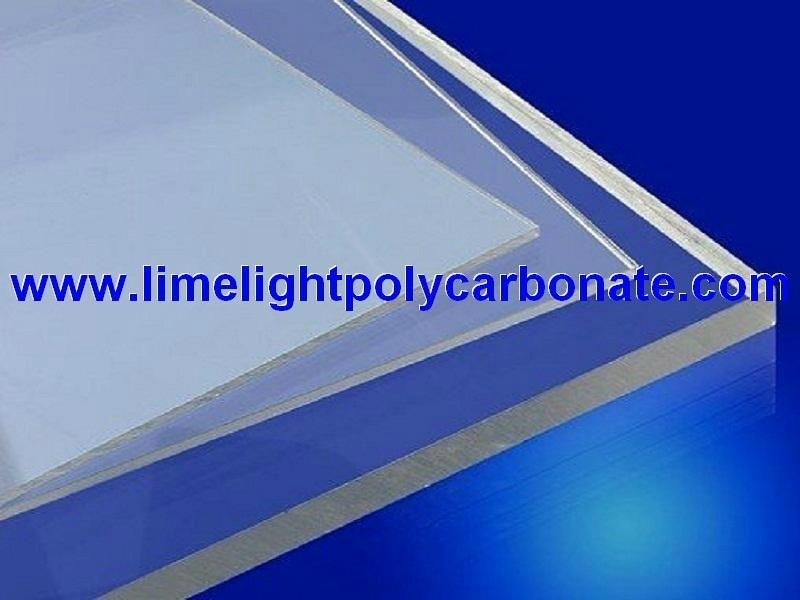 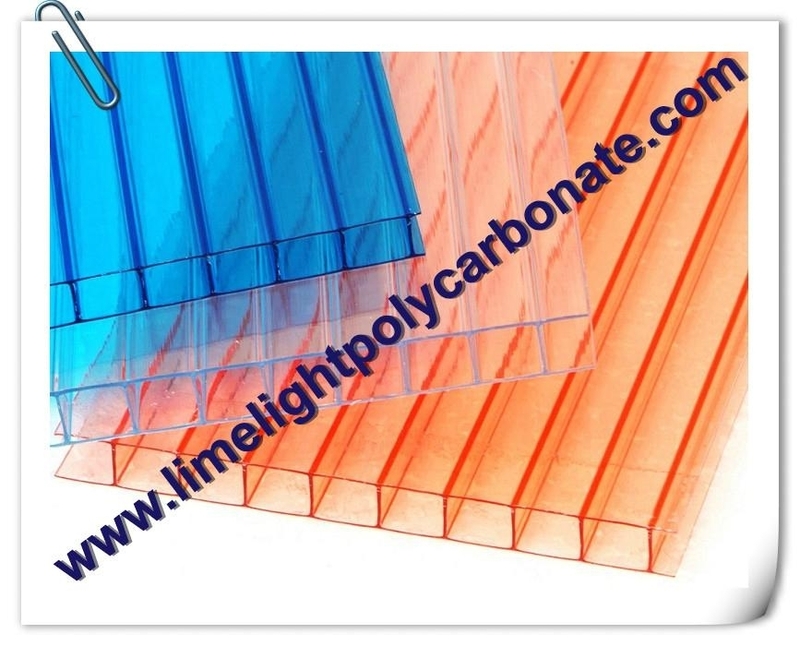 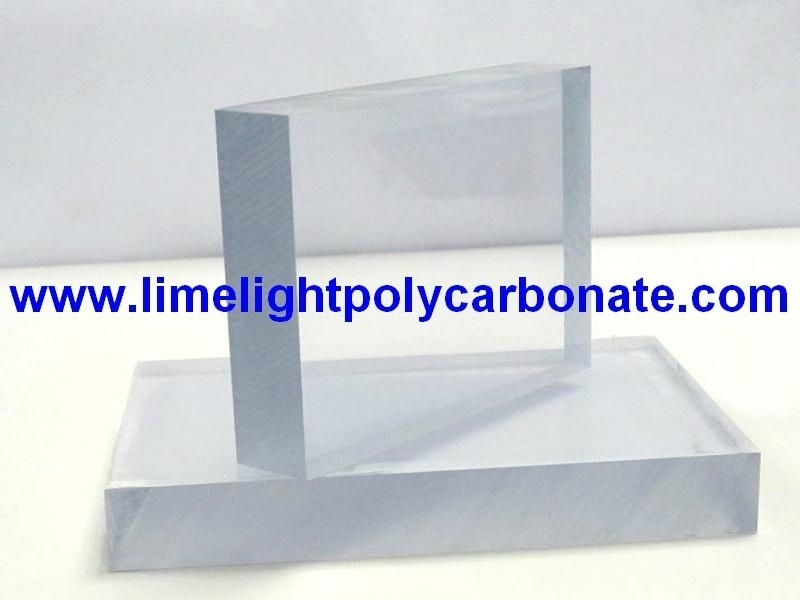 Our polycarbonate sheets include polycarbonate hollow sheets, polycarbonate solid sheets, polycarbonate embossed sheets, polycarbonate corrugated sheets, inter-lock polycarbonate sheets, etc. 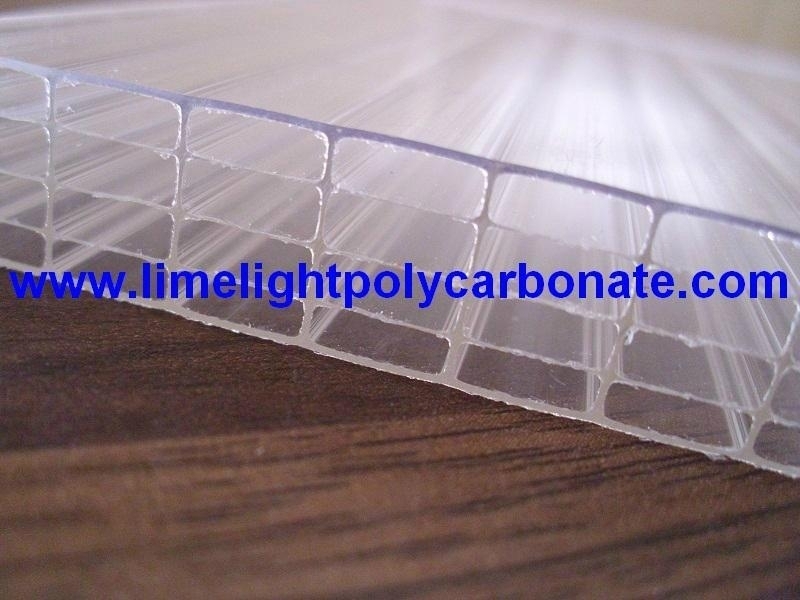 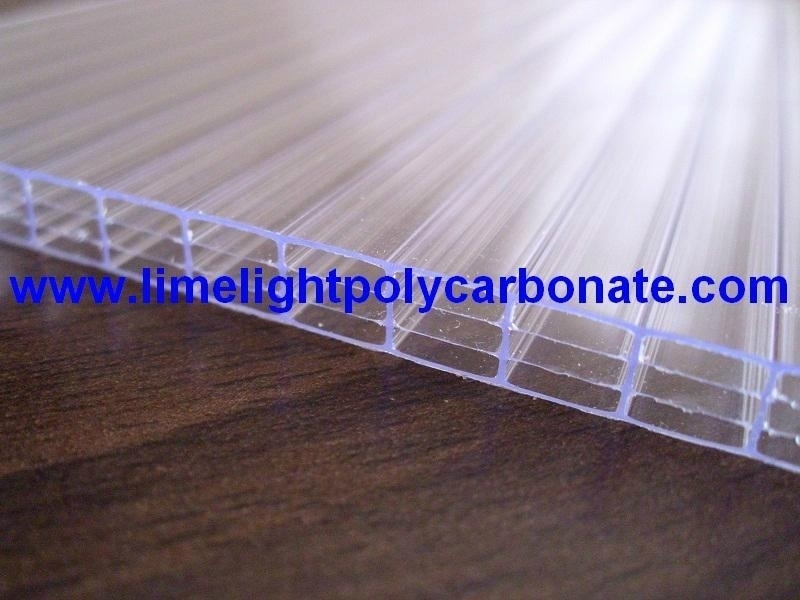 All the polycarbonate resin are from Makrolon Bayer in Germany and Lexan GE in USA with high quality. 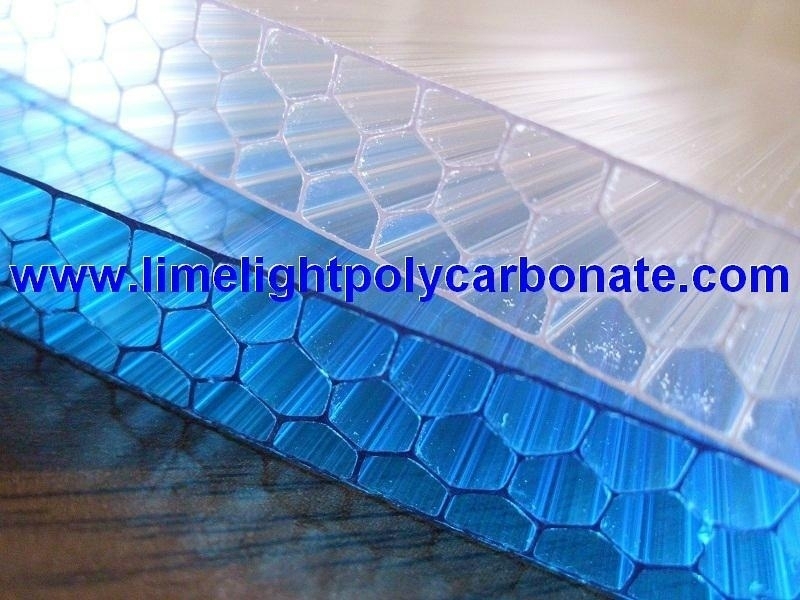 Co-extrusion with one side and two sides UV layer, with ten years guarantee. 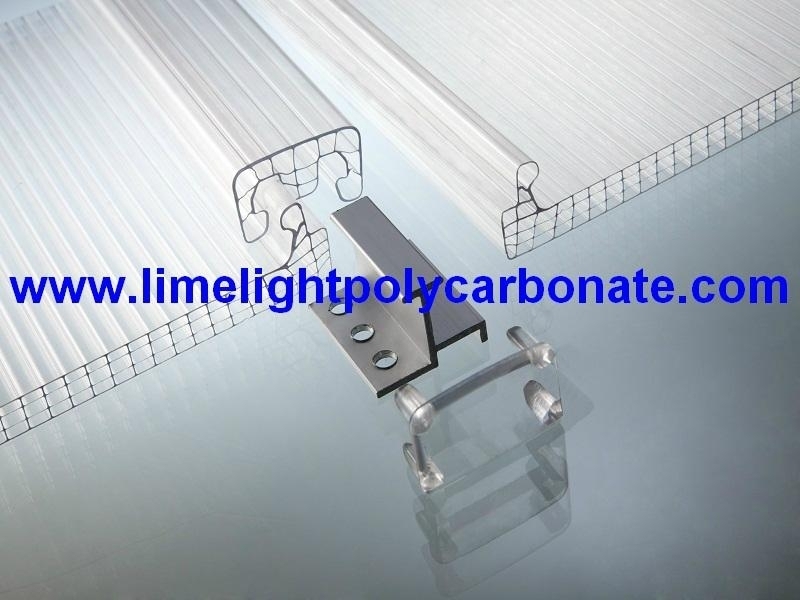 Please contact us for more information, thanks.